Epilepsy is the fourth common neurological disorder. Epilepsy is a disorder characterised by seizures and other health problems. Two unprovoked seizures are required for diagnosis of epilepsy. It can affect people of any age. Our brain transmits messages through neurons or brain cells via neurotransmitters or brain chemicals and this reaction is mediated by electrical activity. These electrical signals are sent in a non-synchronous manner in normal brain. In case of seizures, there is a surge in electrical activity and the signals are sent in hypersynchronous manner. The electrical balance in the neurons is pathologically altered. Epileptic patients usually suffer from the same seizure type each time an episode occurs. Some types of seizures that can occur include – focal, simple focal, complex focal, clonic, atonic, generalized, myoclonic and tonic-clonic. Epilepsy is usually treated with drugs and sometimes, surgery maybe recommended. Patients with epilepsy are advised to take their medicines on time and get sufficient sleep. In particular studies have focused on the bisabolene sesquiterpenoids of turmeric like ar-turmerone, α-turmerone, α-atlantone and β-turmerone. Epilepsy is different from seizure; seizure is a symptom of underlying problem and epilepsy is a disorder characterised by recurrent seizures. The brain is divided into four lobes of which one is temporal lobe. Temporal lobe epilepsy is a very common form of partial epilepsy. During such a seizure there can be memory loss or change in sensory functions. Kiasalari et al conducted an animal study to examine the effect of curcumin on temporal lobe epilepsy seizures. It was observed that curcumin pretreatment reduced susceptibility to seizures, reduced oxidative stress( an imbalance between prooxidant and antioxidant agents in the body) and reduced loss and damage of brain cells. Epileptogenesis is the sequence of events that occur prior to a seizure and lead to onset of seizures. Curcumin administration attenuates severity of recurrent seizures and protects other brain function like cognition and is useful in modifying epileptogenesis. Status epilepticus is defined as a seizure spanning over a time period of 30 minutes or two seizures within this time period without recovery. It is a severe form of epilepsy that requires immediate medical attention. Curcumin as an anticonvulsant and antioxidant can serve to be therapeutic in status epilepticus. It is proven to ameliorate cognitive dysfunction and oxidative stress occurring in status epilepticus. Liposomal curcumin, a novel formulation of curcumin, is found to effective in treating status epilepticus. 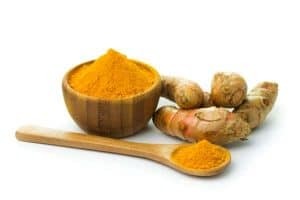 However there is one study in which researchers comment that oral curcumin does not affect chronic seizure and this could be due to its low bioavailability. Various animal studies show that curcumin has anti-epileptic effect. Some studies also point that curcumin can serve as an adjuvant therapy in case of status epilepticus, a severe form of epilepsy. Curcumin exerts a protective effect against seizures by virtue of its antioxidant property. It restores the level of antioxidant enzymes and reduces oxidative stress in the brain. This prevents progression towards seizures. Sharma et al have also demonstrated that curcumin’s antioxidant potential contributes to its anticonvulsant activity. Combining it with piperine improves curcumin’s bioavailability by 20 folds. Combination of curcumin with carbamazepine ( an anti-epileptic drug) also reverses oxidative stress in addition to anticonvulsant activity. Researchers have reported that curcumin increases the seizure threshold, delays the onset of seizures and reduces severity of seizures. Adenosine is one of the compounds that makes up fragments of our genetic material. Also it serves as the brain’s natural anticonvulsant agent. Its external administration is found to be useful in treating drug resistant epilepsy. A study reported that curcumin increases seizure threshold by directly or indirectly activating adenosine receptors (proteins that bind to adenosine) and thereby causes anticonvulsant activity. Based on these results researchers suggest that curcumin can be an adjuvant therapy in convulsions. Curcumin interacts with various biochemical pathways in order to prevent seizures. Most importantly it works as antioxidant and prevents oxidative stress in the brain, thus reducing severity of seizures and delaying onset of seizures. Curcumin offers neuroprotection- protects the brain from neurodegenerative diseases by exerting its anti-inflammatory, antioxidant and anti-protein aggregate property. In addition to protecting from seizures, curcumin also protects prom brain cell damage and toxicity of the brain which is likely to occur in epilepsy. Its antioxidant property is responsible for this therapeutic effect. In case of epilepsy, curcumin offers neuroprotection by modulating levels of nitric oxide or nitric oxide synthase (enzyme involved in production of nitric oxide) in the brain. This not only contributes to anti-epileptic effect but also protects the brain from damage since nitric oxide can cause oxidative damage. Saha et al have demonstrated that curcumin in addition to reducing onset of seizures also reduces oxidative stress and prevents destruction of brain cells; thereby exerting its neuroprotective effect. Curcumin’s neuroprotective effect helps in protecting the brain from toxicity and alterations that occur in epilepsy. The most important brain chemicals or neurotransmitters which responsible for transmission of messages throughout the nervous system include gaba amino butyric acid (GABA), glutamate, dopamine, serotonin and adrenaline. Anti-epileptic drugs generally work by influencing the activity of GABA and limit excitation of neurons. In relation to various nervous system disorders, curcumin is found to influence the activity of brain chemicals or neurotransmitters like serotonin, dopamine, GABA and bring about favourable effect in related disorders like anxiety and neuropathy. Curcumin is proven to positively regulate neurotransmitters in order to ameliorate related psychiatric or neurological diseases. This can be of relevance in treatment of epilepsy and seizures. Most studies focus on anticonvulsant activity of curcumin, the principal active constituent of turmeric. 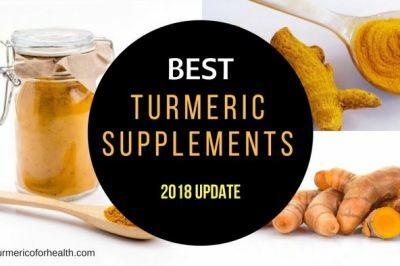 However due to its poor absorption and rapid metabolism its therapeutic efficacy is limited, which is why researchers turned to exploring the anti-convulsant activity of turmeric in relation to other elements present in it. Orellana-Paucar et al identified ‘bisabolene sesquiterpenoids’ as additional anticonvulsant agents in turmeric. These compounds are present in turmeric oil. Curcumol is another active ingredient present in turmeric oil. Research shows that curcumol exerts anticonvulsant by influencing the levels of GABA (a neurotransmitter) and interacting with GABA receptors. It inhibits excitation of neurons (brain cells) by inhibiting the function of GABA receptors. Among the elements found in turmeric oil, ar-turmerone is the most important one as it possesses some useful pharmacological property. In this follow up study, researchers solely tested ar-turmerone for its anti-convulsant activity. Ar-turmerone showed anticonvulsant effect in acute seizure models as well as in experimental seizures caused by alterations in seizure related genes. Additionally ar-turmerone also showed good bioavailability as it rapidly crossed blood brain barrier and no toxicity was observed even at doses higher than therapeutic doses. Research shows that in experimental seizure models, curcumol reduces epileptic activity by delaying onset of seizures, reducing susceptibility of seizures and reducing mortality due to seizure. 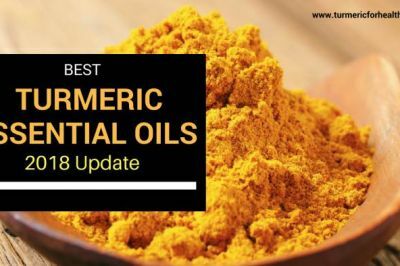 Research shows that not only curcumin, but compounds present in turmeric oil also possess anti-convulsant effect. Glial cells are present around the neurons and provide support and inflammation. They also play an important role in inflammation and defense of nervous system. Glial cells can mediate inflammation in case of chronic epilepsy. A study shows that curcumin administered at high doses reduces the level of pro-inflammatory chemicals in the brain, reduces activation of glial cells and ameliorates cognitive defects in chronic epilepsy. In their study, Kaur et al developed a chronic model of epilepsy wherein reduction of antioxidant enzymes, presence of oxidative stress and loss of brain cells was observed. 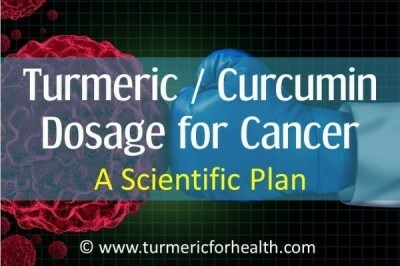 Curcumin treatment reversed all these changes and normalized cell structure and prevented cell loss. These findings suggest that curcumin can improve and protect cognition in chronic model of epilepsy. Other studies also confirm curcumin’s protective action against cognitive impairment in seizures. Cognitive impairment, learning and memory defect is common in epilepsy. Research shows that curcumin intake as an adjuvant therapy helps in attenuating cognitive defects occurring in epilepsy. Depression and anxiety like behaviour is a disturbing health condition common in individuals suffering from epilepsy and seizures. Curcumin as an antioxidant is said to be useful in treating psychiatric disorders. Choudary et al conducted a study where they examined curcumin’s effect on depression and cognition in epilepsy. In this animal model of seizure, treatment given was either phenytoin (an anticonvulsant drug) or curcumin for 15 days at varied doses. It was observed that phenytoin improved depression in addition to its anti-seizure effect but could not protect memory. Curcumin, on the other hand, reduced severity of seizure, depressive behaviour and prevented memory impairment. A reduction in oxidative stress was seen and positive changes in brain chemicals or neurotransmitters were seen with curcumin treatment. A number studies confirm the role of curcumin in treating depressive symptoms observed in major depressive disorder. Depression and anxiety are related conditions occurring in epilepsy. Curcumin’s therapeutic effect in depression is backed by adequate scientific research. A study was conducted wherein curcumin and nigella sativa oil’s anticonvulsant effect was compared with valproate (an anti-epileptic drug). In this animal study curcumin was found to be as effective as valproate in reversing abnormalities or changes in brain chemicals that occur in epilepsy. Reeta et al conducted a study to examine the effect of curcumin in combination with anti-epileptic drugs. The anti-epileptic drugs that were studied were: valproate, phenytoin, phenobarbitone and carbamazepine. In an animal model of seizure, these drugs were administered at therapeutic and sub therapeutic doses. Another treatment included administration of curcumin in combination with sub therapeutic doses of anti-epileptic drugs. At therapeutic doses, the drugs provided complete protection while at sub therapeutic doses they failed to provide complete protection. Co-administration with curcumin increased percentage protection of the drugs. Curcumin and valproate combination delayed onset of seizures. Co administration of curcumin also prevented damage to learning and memory which was not possible with sub-therapeutic doses of drugs. Also curcumin protected from oxidative stress and did not interfere in bioavailability of the anti-epileptic drugs. This suggests that curcumin can reduce the dose of anti-epileptic drugs and reduce their side effects. Research proves that curcumin co administration with anti-epileptic drugs like valproate, phenytoin, phenobarbitone and carbamazepine reduces the dose of the anti-epileptic drugs, reduces side effects and protects cognition without affecting the blood serum concentration of these drugs. The common side effects of anti-epileptic drugs include sedation, fatigue, tremors, mental/motor impairment. Gastrointestinal side effects include heartburn, nausea, indigestion. Increase in appetite and weight gain is also observed. Skin rashes are also common. Certain anti-epileptic medicines can also cause liver damage and toxicity. Curcumin’s gastroprotective action and its therapeutic potential in skin inflammation and diseases can help overcome side effects of anti-epileptic drugs. Said et al conducted a study wherein various compounds were examined for their effect on sodium valproate induced hepatotoxicity (liver toxicity). Curcumin was found to beneficial in protecting liver from sodium valproate hepatotoxicity and it did not interfere with valproate’s anticonvulsant activity. Antiepileptic drugs phenobarbitone and carbamazepine on chronic use cause oxidative stress and cognition impairment. A study was conducted to see if curcumin could ameliorate these side effects. 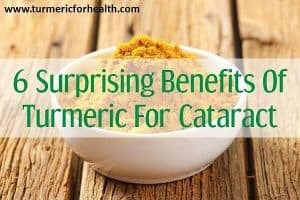 Curcumin, co administered with these drugs, reversed the oxidative stress caused by the anti-epileptic drugs and increased the level of antioxidant enzymes. Also curcumin prevented cognitive impairment without affecting the blood serum concentrations of these drugs. Similar results have been proven in case of phenytoin, a commonly prescribed anti-epileptic drug. Studies show that curcumin can protect the brain and liver from toxic effects caused by anti-epileptic drugs. Turmeric can also attenuate skin and stomach related side effects of anti-epileptic drugs. 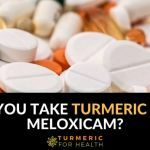 There are various risk factors which could increase the tendency to develop seizures and turmeric can help in mitigating the health consequences of these conditions. Traumatic brain injury can increase risk of developing seizures and epilepsy. Curcumin, due to its anti-inflammatory and antioxidant effect can help reduce the health risks associated with brain injury. Dietary curcumin can help in recovery of traumatic brain insult. Cerebral stroke is when the brain does not get sufficient oxygen and its function is impaired. Curcumin has the potential in preventing stroke. Its anti-inflammatory and antioxidant effect helps in preventing brain injury in stroke. It also modulates genetic mechanisms in order to treat cerebral stroke. Autism spectrum disorder is a number of conditions that affect the brain development. In animal model of autism, curcumin shows therapeutic effect by reducing oxidative stress and inflammation. Curcumin is also proven to modulate certain enzymes ( p21 activated kinases) which play an important role in development of autism. More research is required in relation to curcumin’s therapeutic role in autism. Research suggests that curcumin can serve as an adjuvant therapy in neurodegenerative diseases like Alzheimer’s, Parkinson’s’, neuronal ceroid lipofuscinosis and also help in preventing or delaying their onset. Shin et al report that curcumin can be of use in treating neurodegenerative disease as it prevents cell death of brain cells and protects the brain from oxidative damage. Curcumin can have therapeutic effect on various health conditions like brain injury, stroke and other neurodegenerative diseases which increase risk of developing seizures and epilepsy. Here are some Frequently Asked Questions regarding the therapeutic effect of turmeric in epilepsy and seizures. Turmeric has various properties that can benefit in seizures and epilepsy. However no studies have been conducted in humans to comment on whether it can heal epilepsy. However inclusion of turmeric in diet or even as supplement can benefit brain health and reduce symptoms of epilepsy. It can also increase therapeutic action of anti-epileptic drugs. 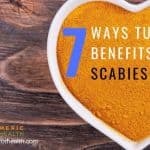 2.Does turmeric help in seizures? Preliminary studies have shown that curcumin in turmeric has anti-seizure and anti-convulsant activity. So as per theory it should help in seizures, in reducing occurrence of seizures and even delay onset. However this hasn’t been proved in humans yet. 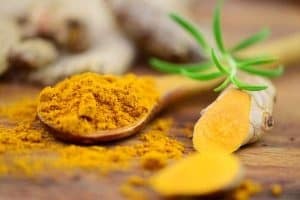 3.Should I take turmeric or curcumin for epilepsy? We recommend taking turmeric in diet as well as opting for curcumin supplements in case of epilepsy. But before starting on supplements do consult a health practitioner. This is because curcumin may increase therapeutic action of anti-epileptic drugs and hence you may require to monitor the dose of these drugs. 4.What dose of turmeric should I take for epilepsy? This depends on the form of turmeric you are taking. Please refer to the dosage section. 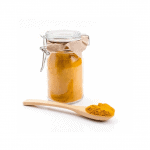 5.Is it safe to take turmeric with anti-epileptic drugs? Turmeric in diet is safe. However if you are taking turmeric supplements you may have to monitor the dose of anti-epileptic drugs as a study mentioned above reveals that turmeric may increase therapeutic action of anti-epileptic drugs and hence reduce the dosage and dependence on anti-epileptic drugs. 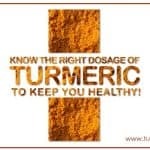 It is best to consult a doctor before taking turmeric supplements. Also maintain a 3-4 hour gap between taking turmeric supplements or Golden Paste and other medications. 6.Are there any precautions regarding turmeric? Turmeric in diet is safe. However if you are taking turmeric supplements do not take them at the same time as other medicines; maintain 3-4 hour gap. For more details read Precautions section. 7.Should turmeric be avoided in gout? Turmeric, as a spice, should be taken in moderation in gout due to its high oxalate content. For a therapeutic effect one can take turmeric supplements in such condition. 8.Should turmeric be avoided in kidney stones? Turmeric is high in oxalates and hence should be avoided in case you are prone to developing kidney stones. In this case one can opt for turmeric supplements. 9.I am on blood thinners, can I take turmeric? 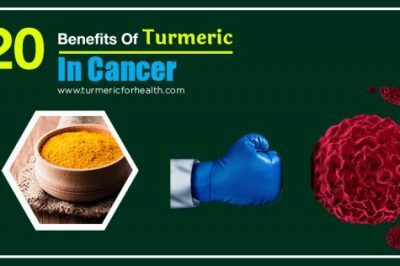 Turmeric in diet is safe but it is best to consult a doctor before taking turmeric if you are on blood thinners or suffering from blood thinning disorder. 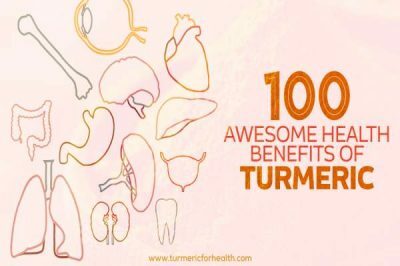 Avoid turmeric supplements in such a condition. There is no prescribed dose of turmeric/curcumin for epilepsy. Including turmeric in diet is good for brain health. To derive therapeutic benefits from dietary turmeric, take it with a pinch of black pepper and fats (olive/coconut oil). 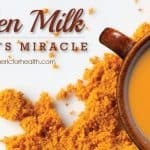 The Golden Paste and Turmeric Milk are some easy ways to take turmeric via diet. When taking Golden Paste, start with ¼ tsp a day and continue this for a week. Epilepsy or seizures is a serious condition which might require intake of turmeric supplements. The general dose is 400-600mg 2-3 times a day. 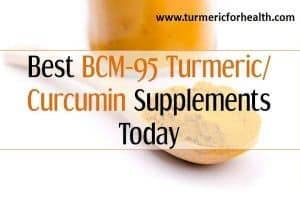 This is for standardized 95% curcumin with bioperine. Other formulations that could help in epilepsy include Longvida, Meriva and BCM-95. It is best to consult a doctor for the appropriate dose. Avoid taking curcumin supplements at the same time as other medicines; maintain at least 3- 4hour gap. Please consult a health practitioner before taking turmeric supplements for epilepsy or any other condition that requires medical attention. Turmeric used in food is safe for anyone to consume. If you are undergoing surgery, make sure you avoid using turmeric supplements 2 weeks prior to surgery for it could slow blood clotting. Turmeric can interact with medications taken to reduce stomach acid, diabetes or anti-coagulant medications. Pregnant and breastfeeding women or those with gallbladder problems are advised to avoid turmeric supplements.Limit turmeric spice intake if suffering from kidney stones and gout, turmeric is high in oxalates. Turmeric has mild blood thinning properties. If you are suffering from a bleeding disorder or on anti-platelet medications it is best to consult the doctor before taking turmeric. 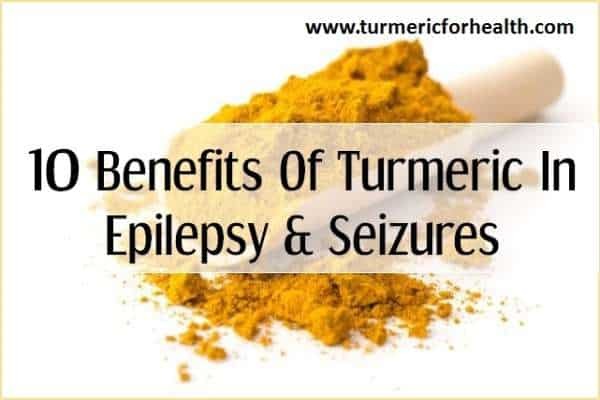 Always consult your doctor if you wish to include turmeric in your treatment for epilepsy. A number of animal studies confirm the role of curcumin as anti-epileptic and anti-convulsant agent. Components of turmeric oil also possess anti-convulsant activity. Turmeric’s neuroprotective, anti-inflammatory and antioxidant property can benefit in treatment of epilepsy and seizures. There is need for further research in the form of clinical trials that study curcumin’s therapeutic efficacy in epilepsy, seizures and related disorders. Inclusion of turmeric in diet can help in protecting from neurodegenerative diseases and improvement of brain health. My wife suffering from Parkinson since last four year. She is having vibration on both the hand. At present she is doing her all personal work. Presently she is taking Syndopa plus 4 tablet per day (one tablet at an interval of 3 to 4 Hrs. Extra does of Turmeric powder help full to her to control hand vibration? 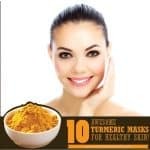 You may consider including turmeric in her diet as Golden Paste. Since it is a chronic condition curcumin supplements may be necessary but it is advisable to consult your health practitioner about this. Hi. 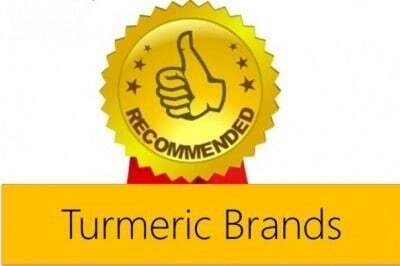 Please check http://www.turmericforhealth.com for good brands of organic turmeric powder. Do u add water in turmeric while mixing it with blckpepper and coconut oil? ?…and am working night shift duty can it affect me. Hi. Here is the recipe for Golden Paste. 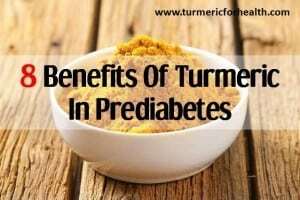 Dietary turmeric is safe and should not pose any risks. Start with small doses and increase gradually. 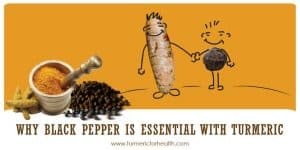 Hi am new in this though i have a 10 years old son with epileptic which started when he was 3years old.my question is am looking to find a cure for his problem ,can the use of the black pepper and turmeric powder in a glass of water help him and for how long can he use it. 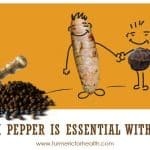 Turmeric and black pepper are spices so one can take them for life in diet. We generally advise Turmeric milk for children so as to make it more palatable. However you can also opt for Golden Paste. Start with 1/4 tsp a day for a week and if no side effects are observed increase gradually based on his weight. Avoid giving on an empty stomach and close to the time of giving medications. 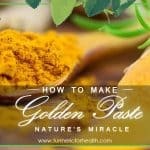 Golden Paste is much more beneficial when it comes to absorption compared to black pepper and turmeric mixed in water. You can consult a herbalist or naturopath about this. I had my first seizure when I was 5. Mine is hereditary& I have taken phenobarbital for 45 years with great success. I haven’t had a seizure in over 20 years but I continue to take medicine to be on the safe side. I recently started using Black Seed Oil, it has MANY benefits. One of them claims to help control seizures especially in children. Just thought I would share that. Thank you for sharing this Jen. Thanks for sharing Jen. This gives me hope. I suffered a traumatic brain injury going on 5 years ago, and my epilepsy started about a year ago. I often get discouraged about taking prescription meds and hope to one day control my seizures naturally. I was diagnosed with epilepsy in 1960 at the age of 6. Stayed with phenobarbital until my 6th child was born and have had phenobarbital and dilantin(phenytoin)daily since dec 1996. no seizures since daughter was 4 wks old. I always had a seizure after each were born and the drs believed it was hormone induced. I had 1 grandmal seizure 5 months before my periods began. But drs didnt understand epilepsy back then, mine kept telling me i would outgrow it, rumors of it possibly effecting my children were a possibility but since they are 41,38,33,31,25 and 19 I was lucky. There is no known reason for mine. I do genealogy and there is no known history. Luck of the draw. I was lucky in that I occasionally took dilantin until pregnant, took the other one daily, my children were/are fine, i didnt suffer from multiple daily seizures, only very occasional ones. So many take 10 meds a day and still suffer. My heart goes out to each one of them and their families. I do understand just how fortunate I am. Tumeric cleanse the blood and will in some people remove anti-epileptic medications leaving the person with no anti e drug. This of course can lead to more seizures. Anyone thinking about using tumeric should look for case studys inclusive to the type of medication, online patient exsperices can be helpful. It is doubtful that severe epilepsy where combination drugs are used can be helped with tumeric. The truth is, no one really knows the full effects per indervidual. 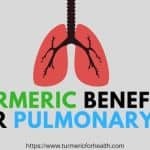 Tumeric is a wonder gift that can help in some cases. It’s a paradox, if you choose green power then stick to just green power, if you are on man made stick to man made for now with a mindful watch on upto date recommendations, trials and new data. 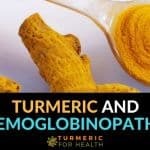 I’m researching to see if turmeric will help my son seizures & jerking. I have seen some improvement with CBD Oil (cannabinol). He has LGS (Lennox Gastuat Syndrome). Turmeric has anti-seizure property so it should help in epilepsy and reducing seizures. You can ask him to consume Golden Paste starting with 1/8 to 1/4 tsp a day and gradually increasing the dose to 1-2 tsp 2-3 times a day or how it suits him. Preferably taken with meals. Research suggests that taking turmeric supplements with anti-epileptic drugs can help reduce the therapeutic dose of drugs required. For supplements it is best to consult a doctor or herbalist about dosage. There is no best time as such but mostly Turmeric Milk is taken at night and seems to benefit well in overall health. Please consult a health practitioner about her health as well.